Products | FUJICOPIAN CO., LTD.
our high value products are a result of an extensive collaboration in all development phases with our customers. but will continue to create new business. 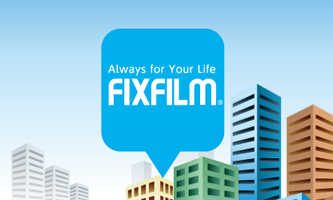 "FIXFILM" incorporates a variety of special characteristics that use a combination of surface and adsorbent surface technologies. We currently meet the personal needs of our customers in relation to touch panels typified by the smartphone. 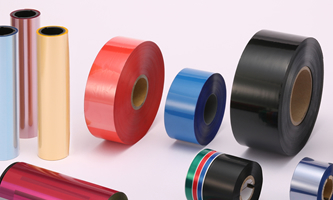 Core products such as thermal colour ribbons (TCR colour) and thermal monochrome ribbons (TCR monochrome) have made printer size, weight and noise reduction possible along with cost reduction and have obtained overwhelming support globally. 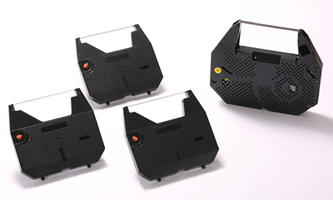 These products have won especially high praise for their use in home fax machines, barcode printers and various types of ticket dispensing machines. In addition, we are aggressively working on development of new products to meet various demands for non-impact products. By evolving the function of film, the proposal to change the way in which you work becomes a product. 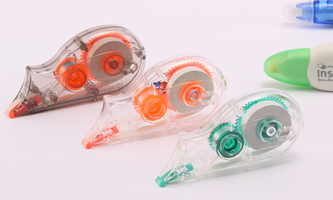 Correction tape "Instarite II". Dry type so that hands won't get dirty and work can be done efficiently. Fujicopian is developing and producing products with a number of features such as fabric ribbon used by printers and typewriters that can be adapted to all printout needs. The impact ribbon developed by our company, which has an established reputation for sharpness and durability, has captured a high market share percentage.